Apartment on the 2nd floor without elevator of a small condominium Close to the Coty commercial space. Living room with sofa-bed for 2 persons. Fully equiped kitchen: oven refrigerator microwave ceramic hob MaL Crockery Bathroom with bath-tub. MaL Linge. Wc independent. 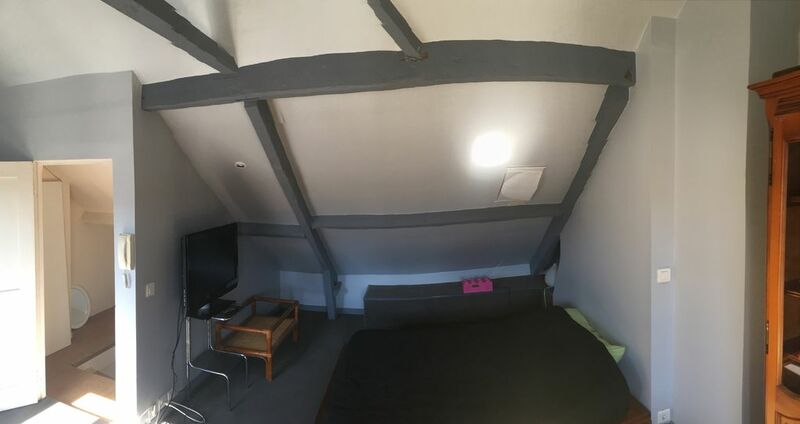 Large bedroom upstairs with wardrobe Bed 140. Television. Apartment very comfortable very bright.